If you are worried or concerned about your child’s feet, then this information is important to you. If all kids “grow out of” foot problems how come so many Adults have them? With kids’ feet we don’t get a second chance. The time to focus on this is now while they are still growing. Why would you wait and let kids’ feet stop growing before addressing problems when you could address any problems before they become permanent? Children’s feet differ from adult’s feet in that they’re pliable and still growing and therefore it’s a really important time in their development. During this growing stage your kid’s feet are extremely susceptible to the influences of injury, improper footwear, and poor development in the form of flat feet. Unfortunately, kids can’t always articulate (explain to you) what they’re feeling, especially when it comes to feet, other than saying it hurts. This is why it’s vital for you, as a parent, to pay close attention to the development of your child’s feet. Sometimes kids will talk about getting tired or ask to stop activity because they have pain and stopping activity is the best way they know of beating the problem! Like to assess what treatment is best for your child? What Problems do kids get? All or just some of these signs are indicative of foot posture problems. While flat feet are often more obvious other problems such as tripping falling, kids who fatigue quickly or often don’t enjoy sport are many times unbeknown to parents a sign that a foot posture issue may exist. Don’t worry you are not the only parent that didn’t realise that! Would you like a quick idea what treatments could be best for your child? Are you worried about Growing Pains? Curious if its time to look at an assessment for you child? Curious about what treatment may be worth looking at? Try our online Calculator! Enter your responses and our online calculator will provide you with Personalised Treatment Recommendations* you can consider. You can also down load your personalised results* and recommendations for you to keep – completely free! Just like you, we’re parents. We understand the concern you feel for your children. Especially when it comes to health matters. We also understand, first-hand, how important healthy feet are for active kids. Not only from a physical standpoint, but also for their own sense of self-esteem. Not being able to kick a soccer ball or play hopscotch can be a nightmare socially in the playground! Not being able to run to the bus or walk home without pain is horrible! It’s this parental-understanding, along with our 25 years of expertise, that makes us Sydney’s leading Kids foot and ankle clinic. EASY and FUN Strengthening and stretching exercise programs! 6ft Long Fish tank with Loads of colourful tropical fish with baby fish! Our rooms are bright, modern and open. We See Stacks of KIDS Many practitioners are lucky to see one or two kids as patients a week our very kid friendly Doctors see this many and more every day! Patient Doctors, who see oodles of Kids. We know things don’t always go to plan. We talk WITH your kids to get the answers they probably want to tell us but don’t know quite how! Talk WITH YOU not AT you! In the end its about getting an awesome result for your child! We understand how important it is to speak to you and your kiddlet in simple, clear and easy to understand terms! NO complicated Doctor talk and medical jargon! Good care takes time! Our appointments aren’t rushed in/out appointments like many clinics. We understand it takes time to get to the bottom of things! Are you worried about pain in your child feet? Not sure whats normal and whats not? 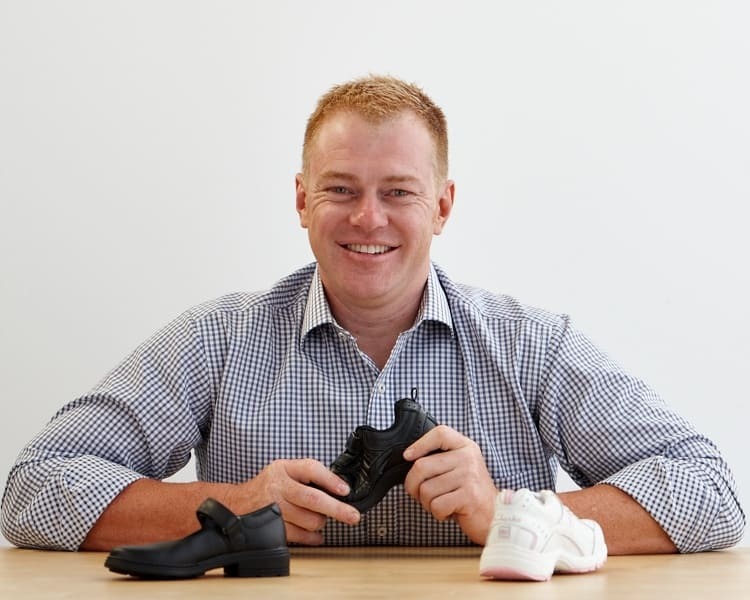 Try accessing Dr Brenden’s helpful report on the “Growing pains – 7 simple signs every parent should know!” As a recognised expert in lower limb health with over 20 years’ experience, A past advisor for Clarks Kids footwear and lecturer on growing pains. Dr Brenden outlines what every Parent should know about Growing Pains and gives you fast ways to identify the “what and when” you need to know!